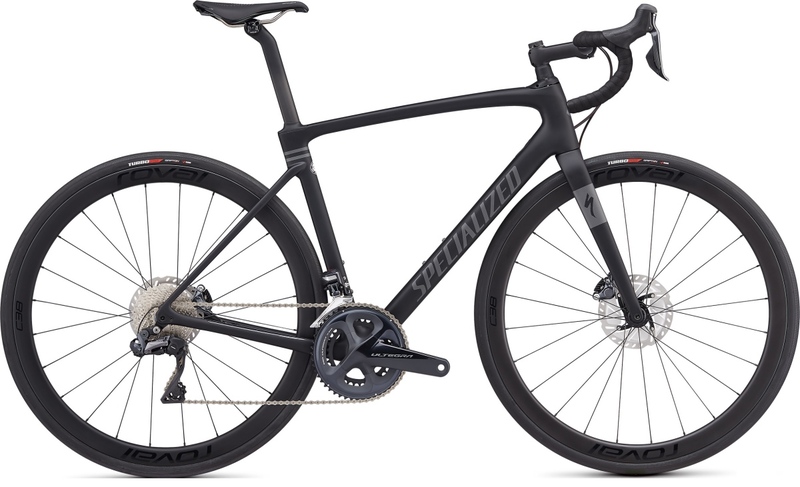 A revamped version of the Specialized Roubaix is available in bike stores today. Just in time for long miles inspired by the spring classics, Specialized has taken the popular bike up another notch, borrowing features from Tarmac and Venge, and dialing in details innovated in previous models. With this latest Roubaix, Specialized continues to build on their “Smoother is Faster” motto. The Future Shock 2.0 is the first new feature in this theme. 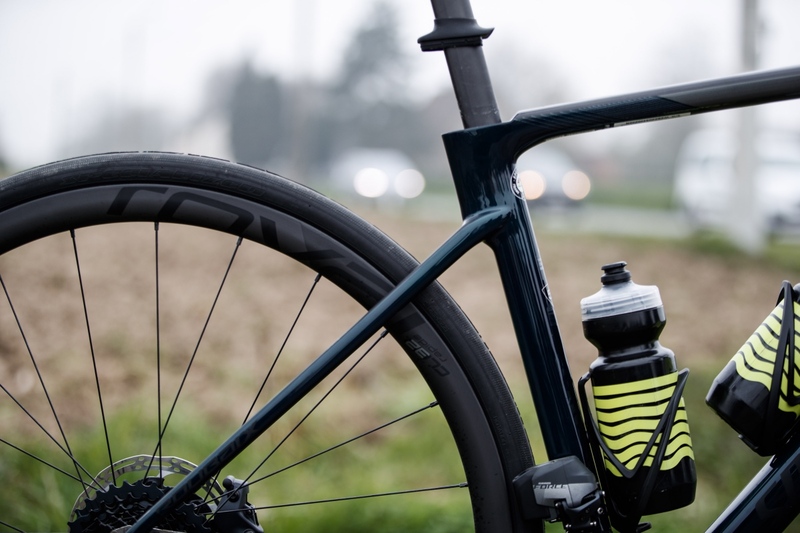 Similar to its predecessor, the shock sits above the frame in the head tube, the theory being this solution isolates the rider from harsh bumps and road chatter without compromising speed and efficiency. 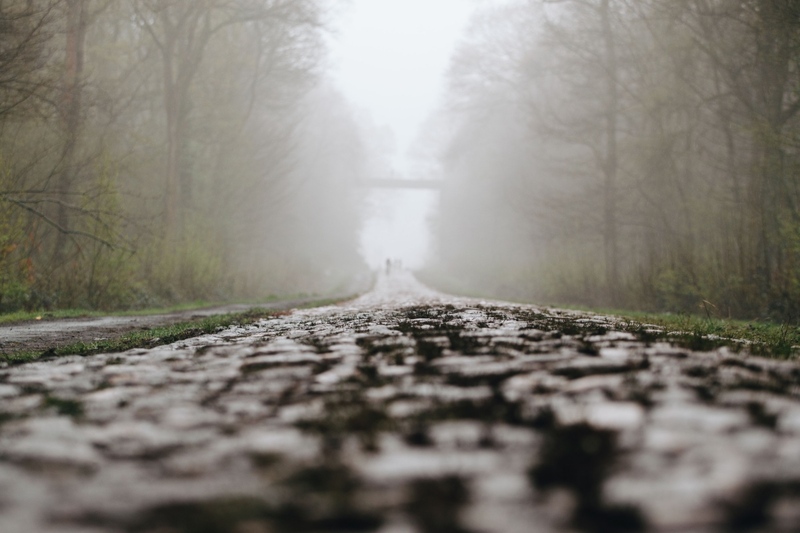 Given the bike’s past performance (6 wins at Paris-Roubaix), the theory seems to bear out. The Future Shock 2.0 delivers 20mm of axial compliance via a hydraulic damper. The damper is new, as is the ability to adjust it on the fly using a dial above the stem. 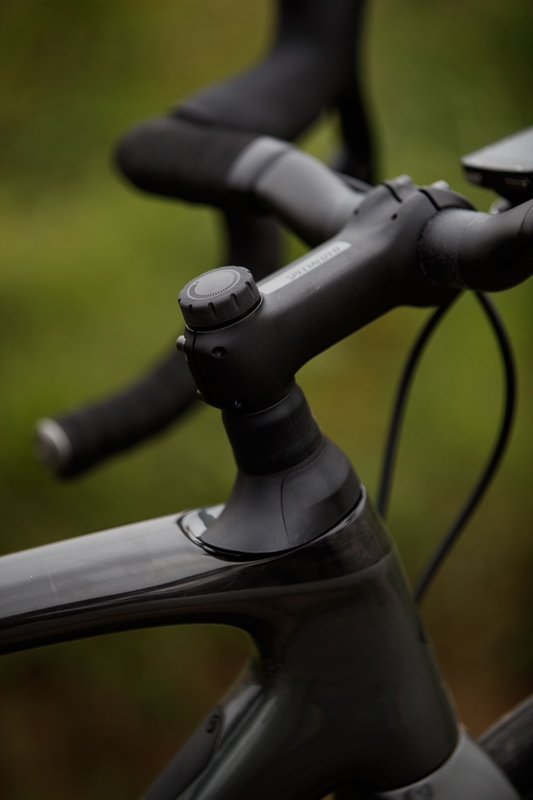 A knob at the top of the stem adjusts compression from fully-open to stiff, while hydraulically-damped internals control rebound. The Future Shock 2.0 is included on the models Expert and above. For Comp and Sport, the new Future Shock 1.5 is used, which improves upon the original Future Shock, but does not include the hydraulic damper. Another change is the new Pavé seatpost. Borrowing stylings from the Tarmac, the seatpost is aerodynamic and provides fore-aft flex for a smooth ride in bumpy conditions. 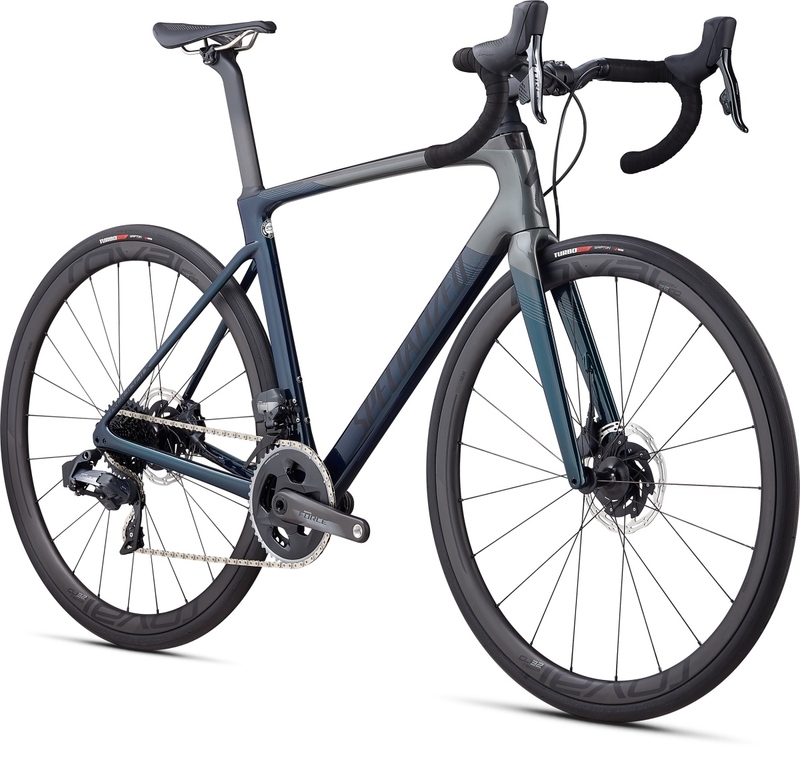 This year’s model introduces a drop-clamp design in the frame that is aesthetically slick, and allows more exposed post to better absorb bumps and road chatter. Specialized focused on the new seatpost to help make the front and rear of the bike have more balanced road compliance. The specifications of each bike size are determined with Specialized’s Rider First Engineering, which essentially means tube sizes, carbon lay-up, and components are optimized for the scale of that bike, not calculated as a linear change in the size. New tube shapes have been selected to increase aerodynamic performance and reduce weight. 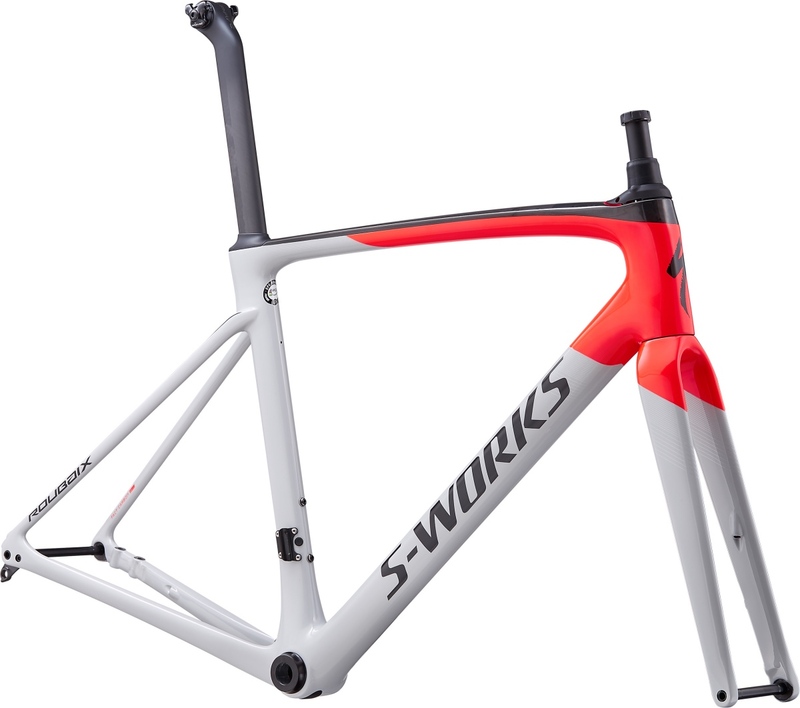 The biggest winner in terms of weight loss is the Comp, where the new model frame dropped 170 grams. All models come spec’d with 28mm tires, but have clearance for up to 33mm. 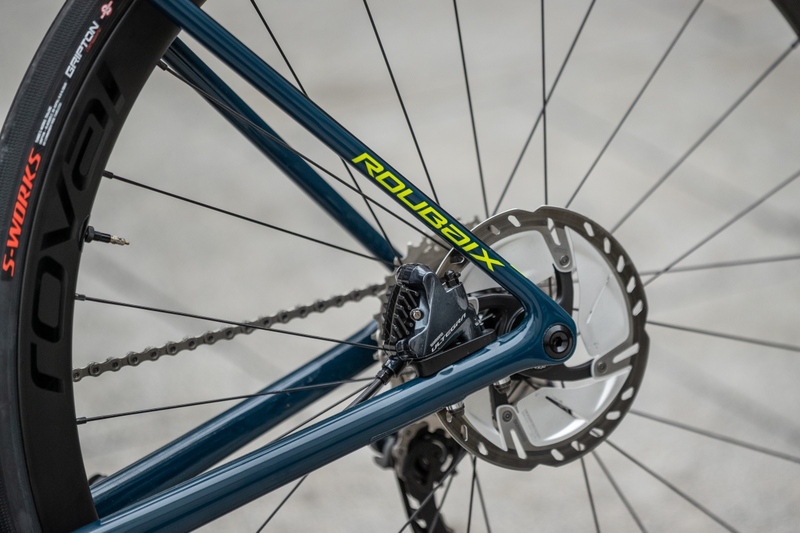 The new Roubaix comes in a wide spectrum of sizes from 44cm to 64cm. Price points range from $2900 to $12,000 for eight models and three framesets. A lower priced base model at $2200 will be available later this year. Finally, one conspicuous absence at the Specialized Roubaix launch was the Ruby, the women specific analog for the past decade. 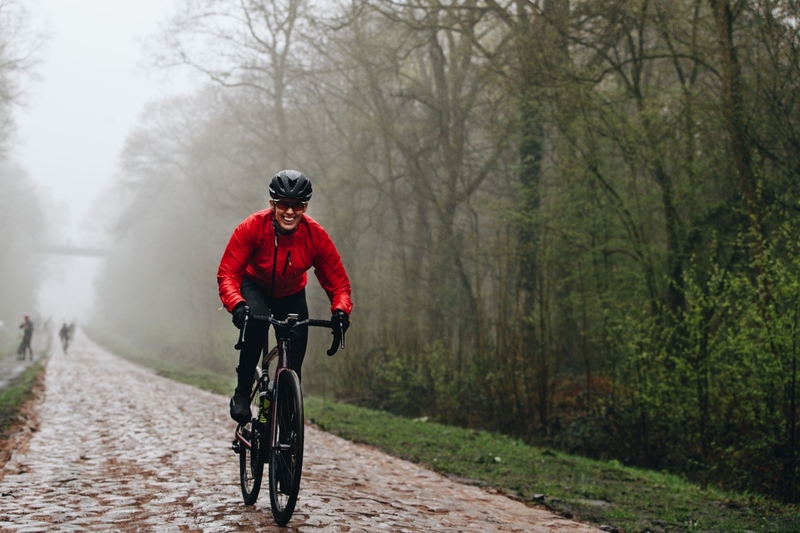 Specialized is making the argument, based on data compiled from their Retül fit system, that there is likely more variation between athletes of the same gender than between male and female athletes. 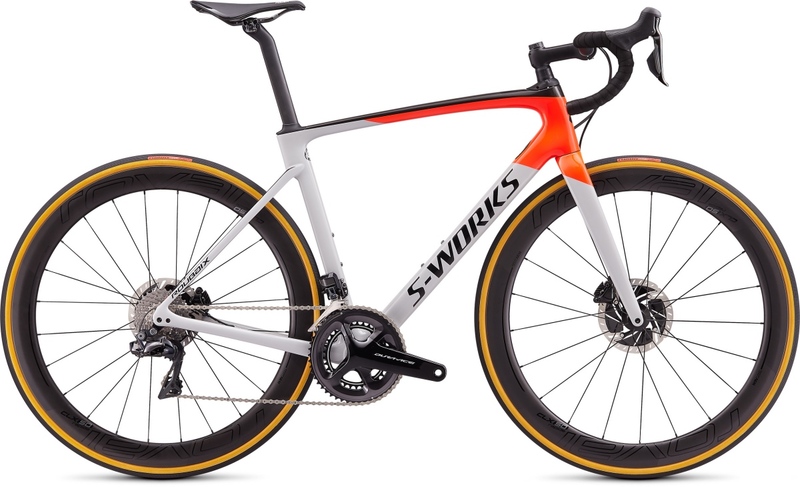 As a result, the Roubaix will now be a gender-neutral frame. 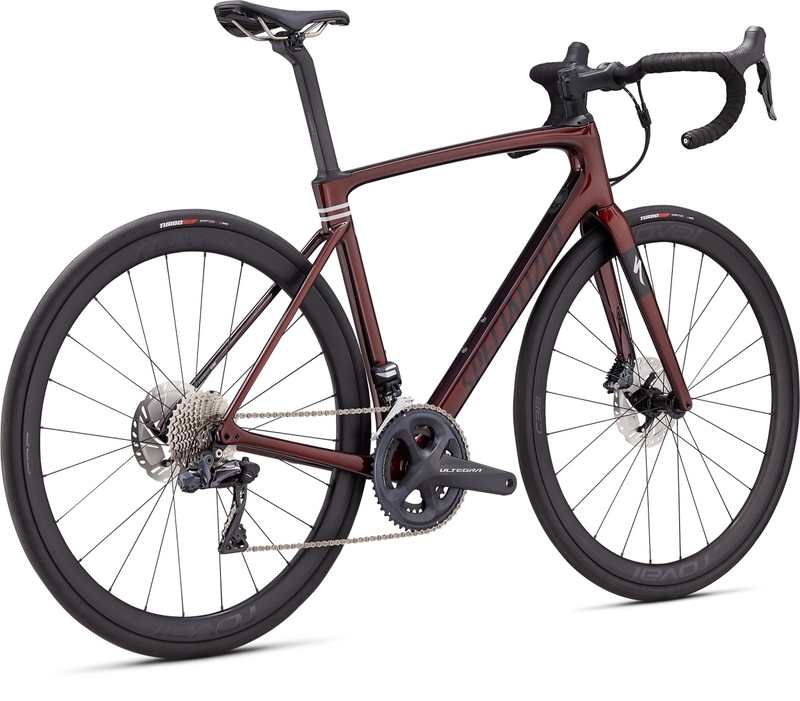 RoadBikeReview spent time aboard a blood red Expert Di2 size 54cm for a two-hour test ride in and around Oudenaarde, Belgium, and a four hour ride on the final kilometers of the infamous Paris-Roubaix course. 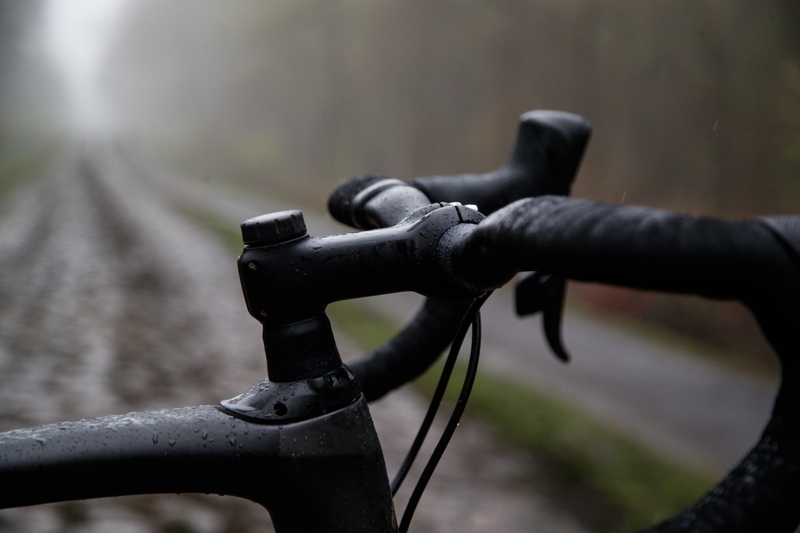 The bike was completely at home in the surrounds that inspired its name. 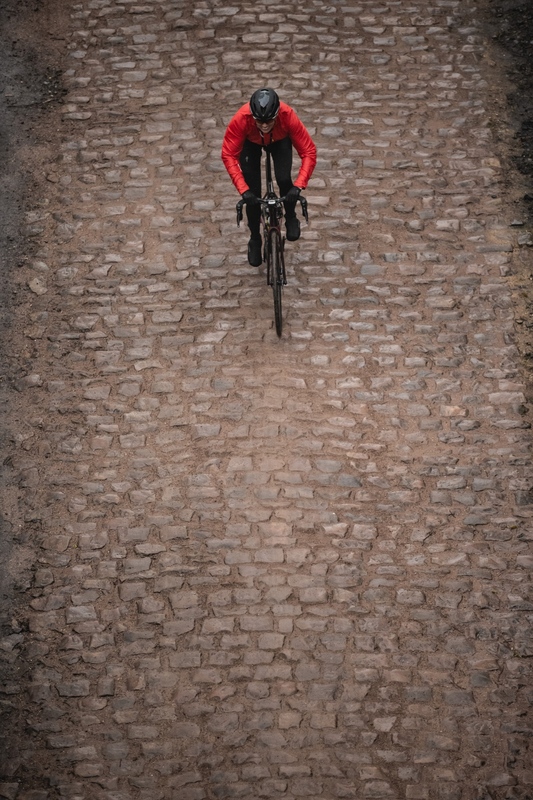 The first day our ride included short sections of cobbles and multiple steep, punchy climbs, and lots of sharp corners. The bike inspired confidence with its responsiveness and smooth handling, never missing a beat in the variable conditions. Out of curiosity, I railed it over curbs and through potholes I would normally avoid on my personal road bike. But the Roubaix was unphased. 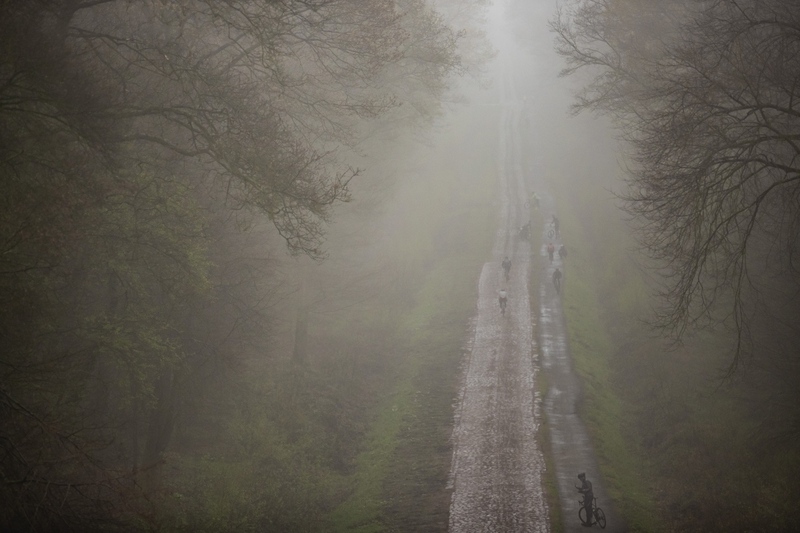 For the second day’s ride, there was steady rain as we made our way to the infamous Arenberg Forest. As a novice on cobblestones, the conditions had me a bit jittery. 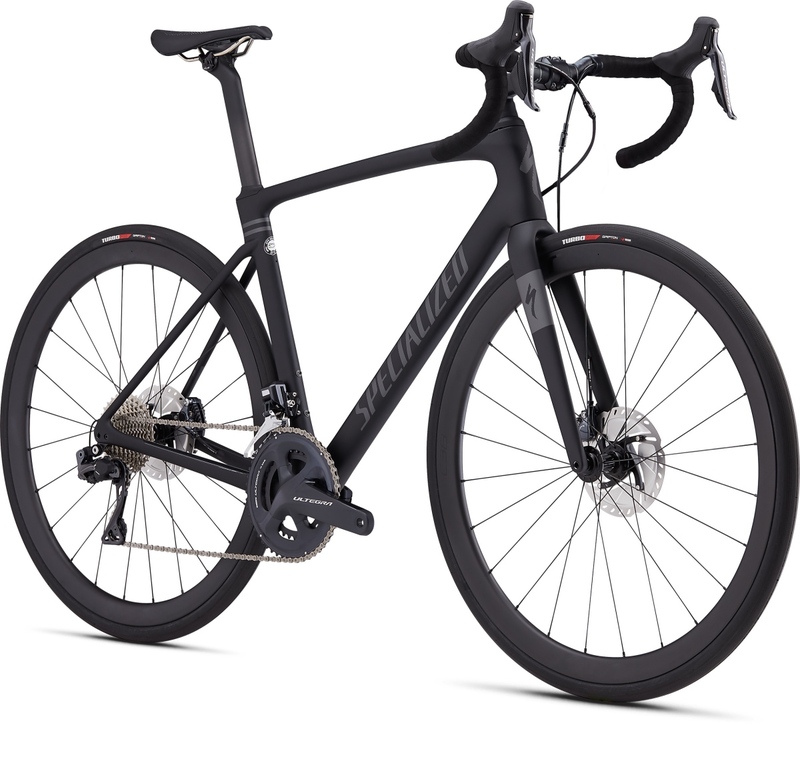 But again, the revamped Specialized Roubaix performed with grace. 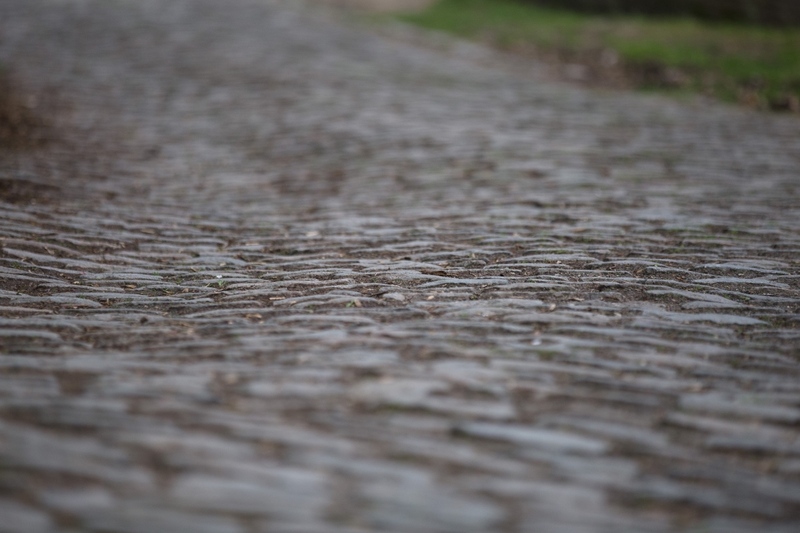 The cobblestones were wet, smeared with mud, and frequently changed size, shape, and texture, throwing curve balls left and right. 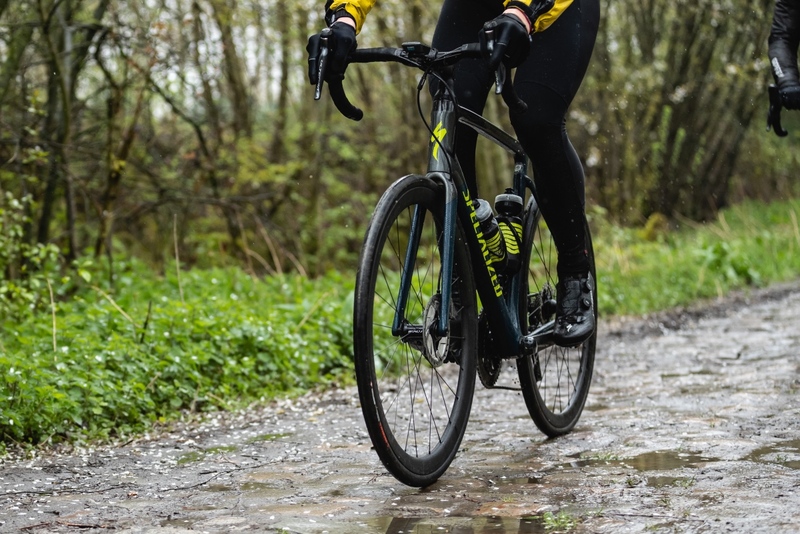 But the Roubaix was a willing partner, as I struggled to push a heavy gear and keep my hands light (aka barely touching) the shaking handlebars. Soon the bike (and most of me) was covered in mud. The Smooth Boot is simply a revised rubber sleeve for the Future Shock that provides a cleaner aesthetic. The action of the Future Shock 2.0 was subtle to the point I nearly forgot about it. That is, until I locked it out. Then, I felt like my teeth might get rattled right out of my head. I never locked it out again because it was significantly smoother and offered far more control, and I didn’t notice any penalty for having it open. Within the first 20 minutes of the ride, the disc brakes got gritty, and issued loud squawks of protest, yet their performance never faltered. And similarly, the shifting was flawless, even as the drivetrain was battered with grim and grit for four hours. My confidence grew over the course of the day, increasing rain notwithstanding. As we concluded the ride with a lap of the famed Roubaix velodrome, I was more than a little glad about the hot shower and sandwich awaiting me, but also a little sad to say goodbye to the beautiful, lively, and capable bike that carried me on this excellent adventure in the north of France. Future Shock 2.0: How does the damping system work? The thru-shaft damper in the Future Shock 2.0 offers riders an increased sense of control, especially when encountering unexpected obstacles. In the open setting, Future Shock 2.0 behaves just like the original Future Shock by implementing a very free-flowing bleed circuit. This allows for the fast system response we sought in the previous generation. In the firm position, the free bleed is shut off and oil is forced through separate compression and rebound shim stacks. This dramatically increases the damping in both directions, especially at slow shaft speeds. And when large events are encountered, a blow off activates to absorb the energy, and this prevents the shock from being transmitted to the rider. Future Shock 1.5: What kind of updates can we expect here? The Future Shock 1.5 receives the following updates. We’ve improved the performance by adding a new progressive main spring, a new top-out spring, and a new bottom-out bumper. All of this helps with improving control by smoothing out the road. You’re still able to fine-tune the Future Shock 1.5 with the help of the booster springs that come as spares. We suggest running the Future Shock with no booster spring. 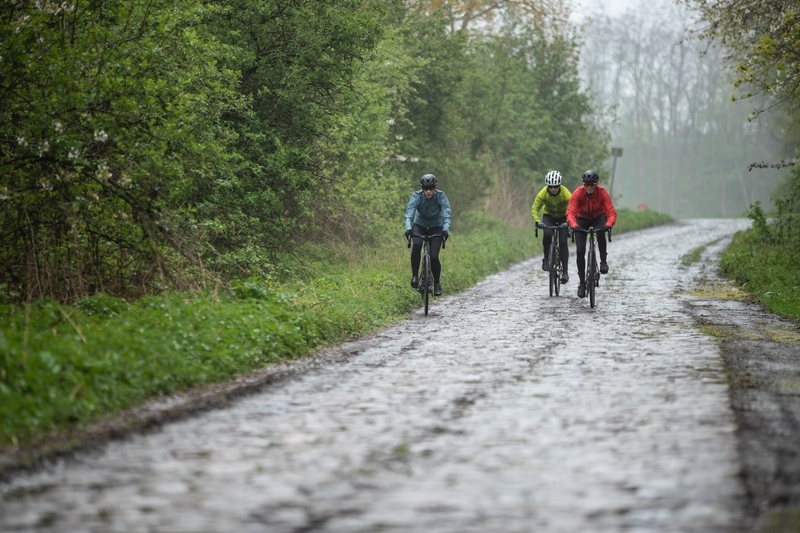 Now, if you’re going to riding some really rough roads, like the cobbles of Northern France, we suggest playing with the booster spring to see which one best suits your riding conditions. What’s the difference between FACT 11r and 10r? 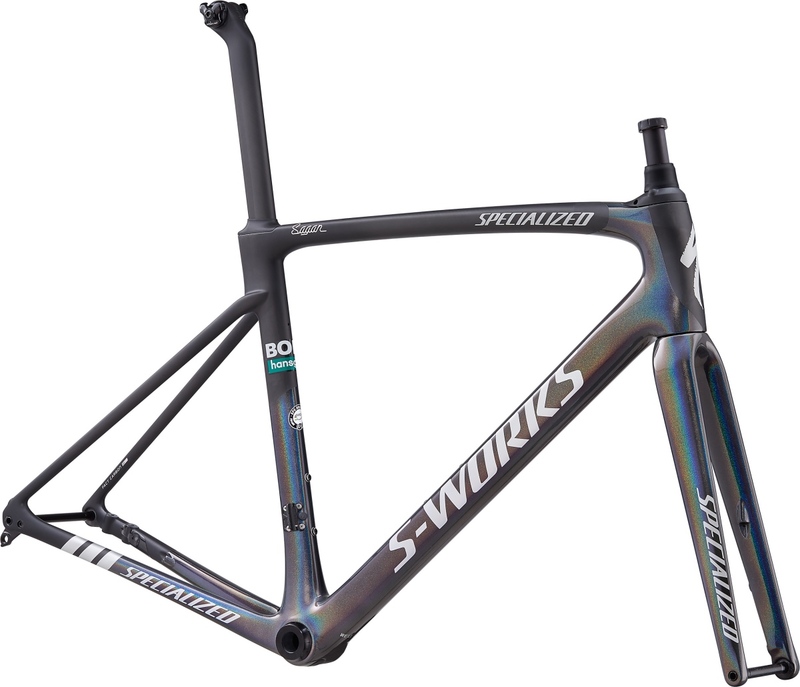 The main differences between the two frames are the carbon layup and the materials. 115g is the weight difference between the two frames in a Size 56cm. The Smooth boot is a revised rubber sleeve for the Future Shock that provides a significantly cleaner aesthetic. But the main purpose of the boot is to make sure the Future Shock is protected from the elements. 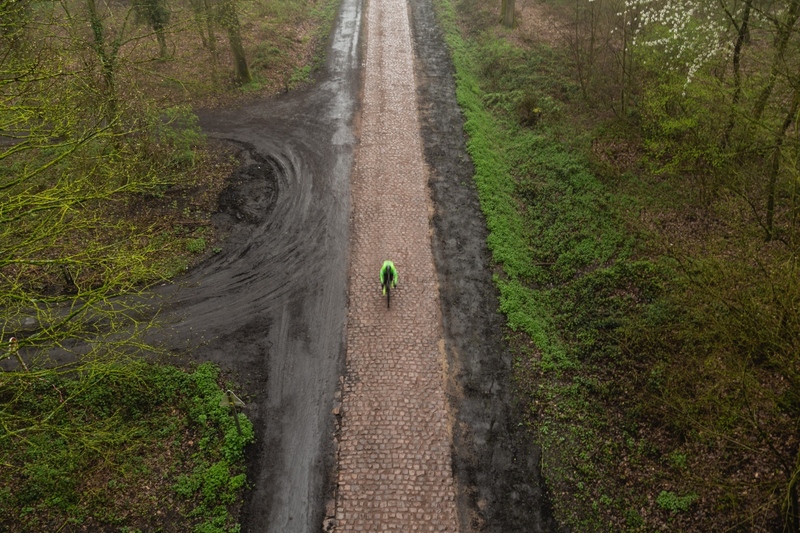 Is the new Roubaix Rider-First Engineered? Yes. Every frame size has the same climbing responsiveness and descending prowess you’d expect from any of our Performance road bikes. 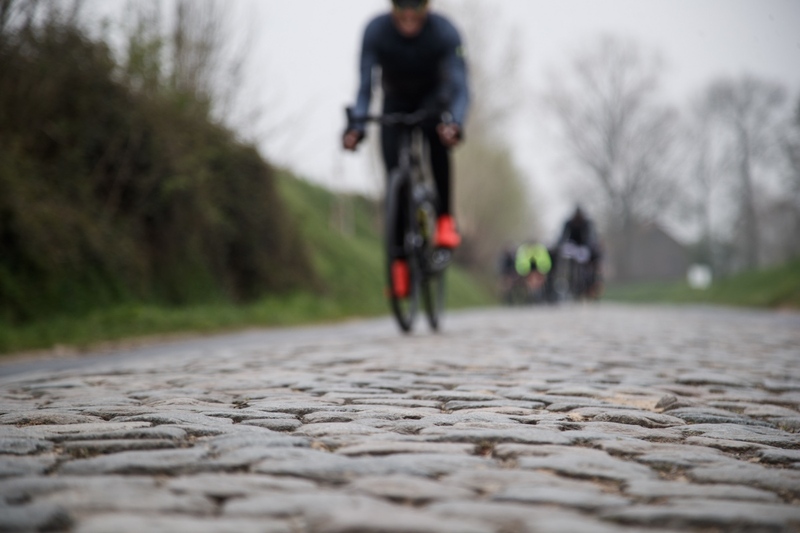 How is stack and reach measured on the Roubaix? Stack and reach are measured with the “zero” top cap installed and measured to the bottom of the stem. This is the lowest point of the front-end of the bike. What is the difference between the Team Geo and Classic Geo frames? The only difference is stack and reach — think of it as additional sizing. 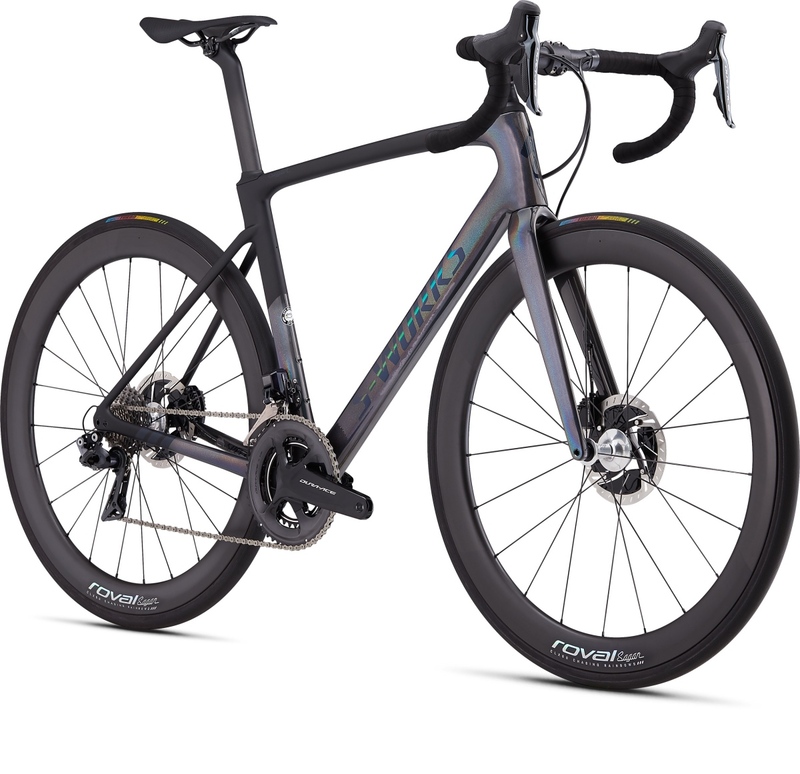 With the all-new Roubaix, we have among the widest size ranges out of any bike on the market. In fact, we have a size that fits every rider. And from Size 44 to 64cm, the “Team Geo” frames are simply additional sizes. These are sizes 53, 57, and 59cm. These sizes correlate to the stack and reach of a Tarmac: 53cm = 54cm stack and reach of a Tarmac, 57cm = 56cm stack and reach of a Tarmac, and 59cm is a bit longer than a 58cm Tarmac. 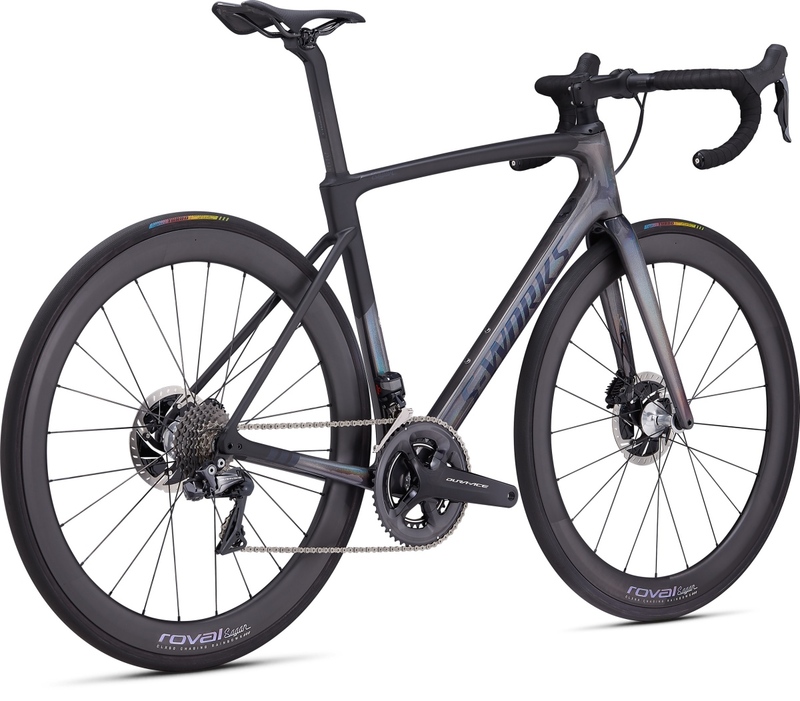 Everything else about these additional sizes is the same as the rest of the Roubaix family—same stiffness targets and the same handling geometry. 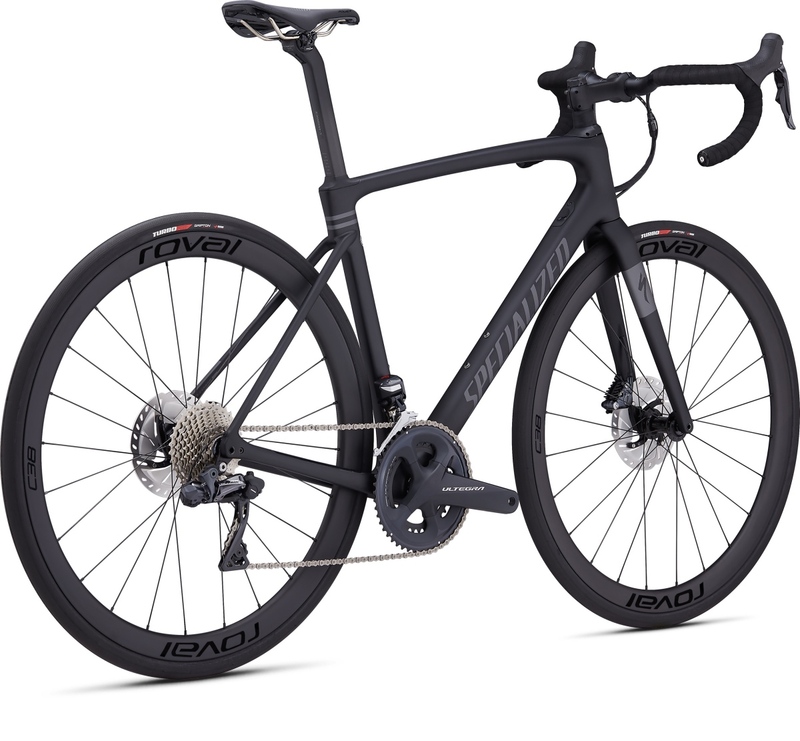 When it comes to aerodynamics, how much faster is the new Roubaix compared to the previous generation? 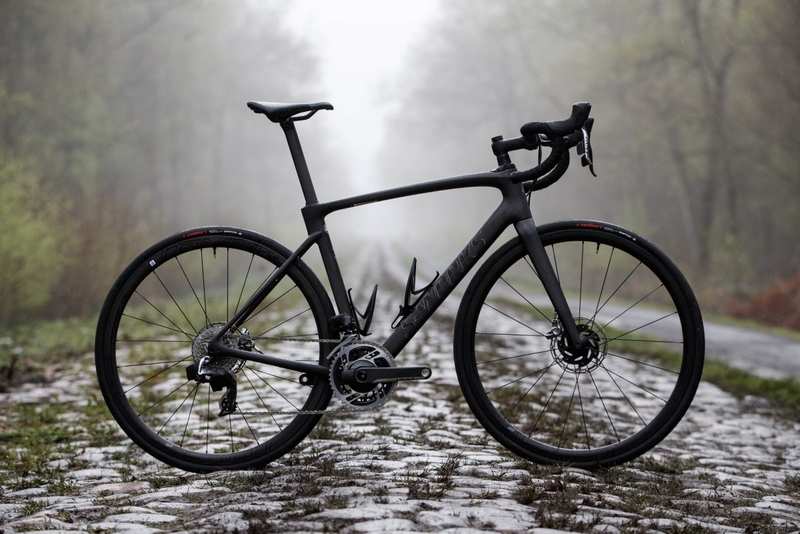 The new Roubaix takes many of the learnings we took from the Venge. It uses tubes from the Free-Foil library, which optimizes the tubes for the best aerodynamics, stiffness, and weight. 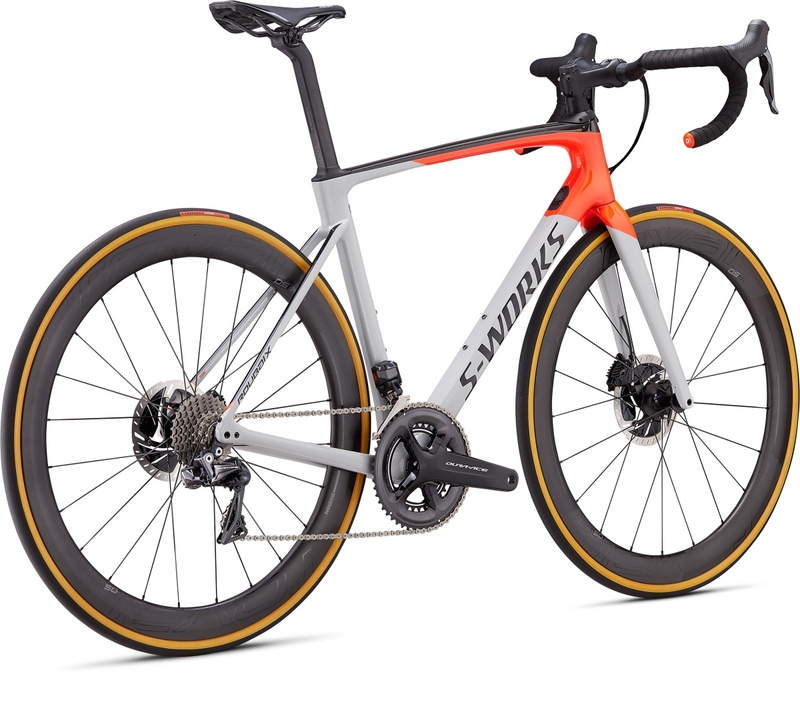 The total gains are 22-24 seconds faster over 40km when compared to the previous Roubaix, or 8-10 seconds faster than the Tarmac SL6 depending on yaw. 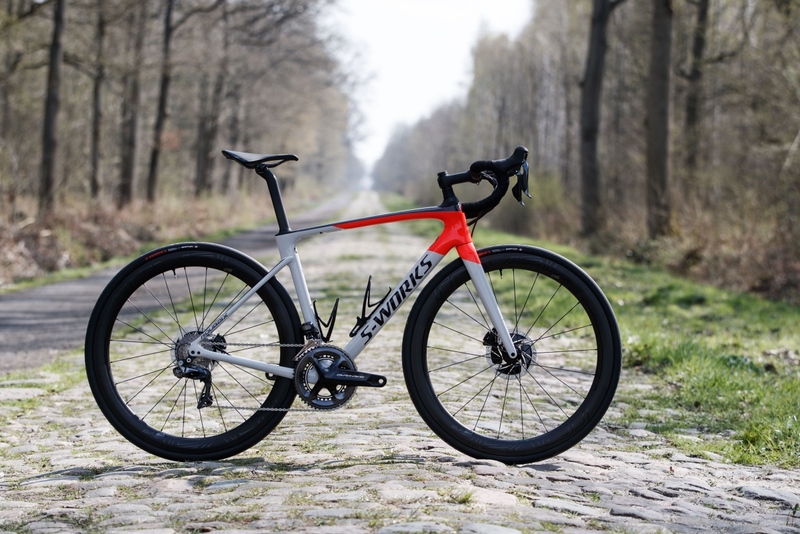 This means that the all-new Roubaix is actually faster than many of the dedicated aero bikes on the market today. What offset will the new Pavé seatpost come in? The new Pavé seatpost will come with a 20mm offset (spec on every Roubaix) or a zero offset version which will be sold separately. What’s the purpose of the hidden seatpost clamp? 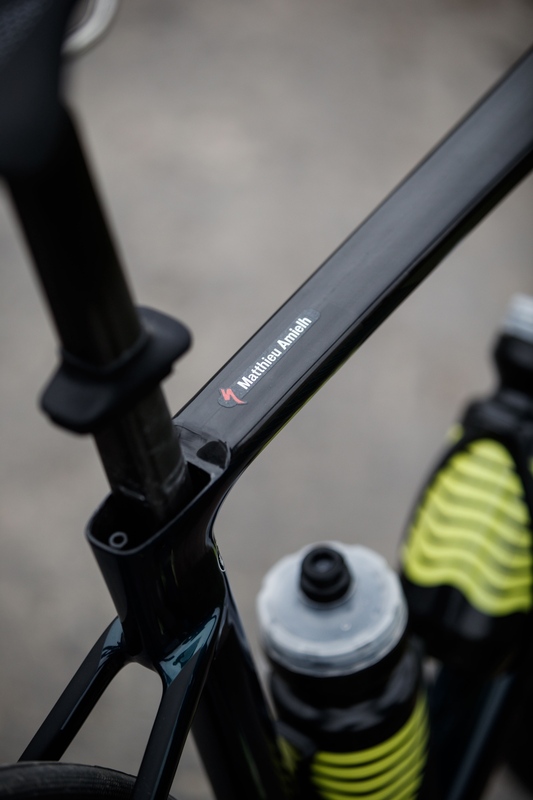 We have the same philosophy as the previous generation Roubaix, but by dropping the clamp, we’ve made the seatpost longer to get more flex out of the seatpost. The hidden portion is simply to clean up the aesthetics of the bike, but the hidden clamp also helps us with shaping the seatpost to gain as much aero benefit as possible. 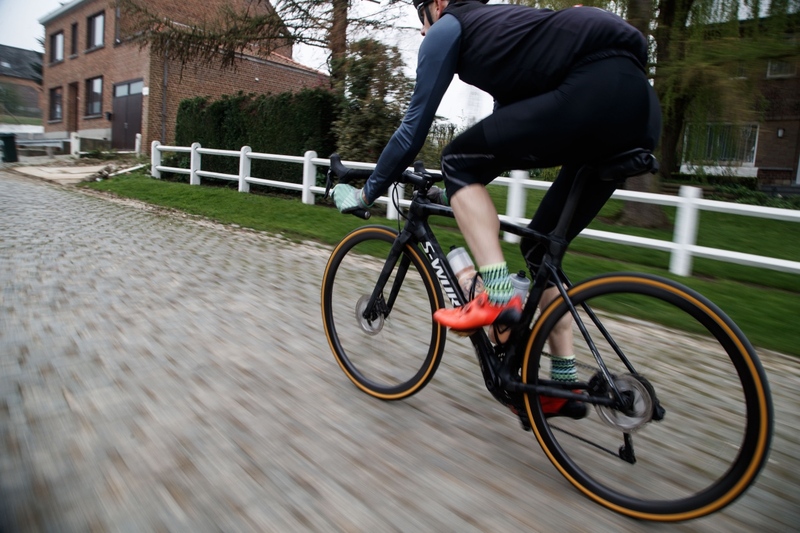 How does the all-new Roubaix provide compliance in the rear-end of the bike? 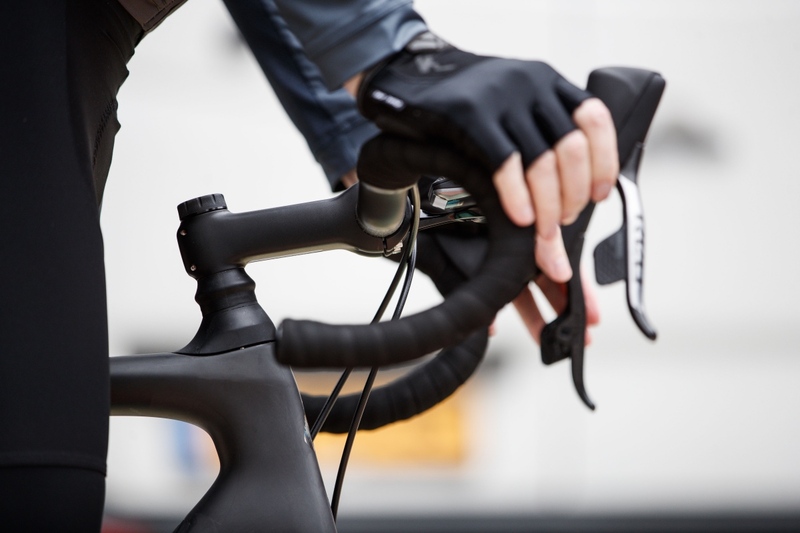 For optimal performance, we needed to maintain pedaling efficiency while also providing control. 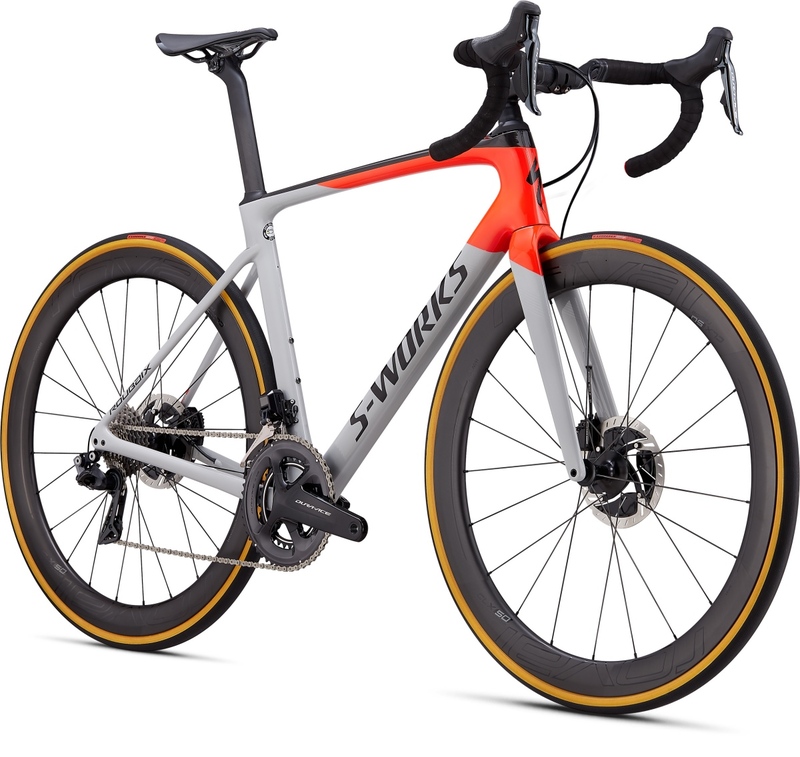 Instead of having the seatpost moving up and down, like we have in the Future Shock, the saddle moves in a nice arc, in a backwards and downwards motion. 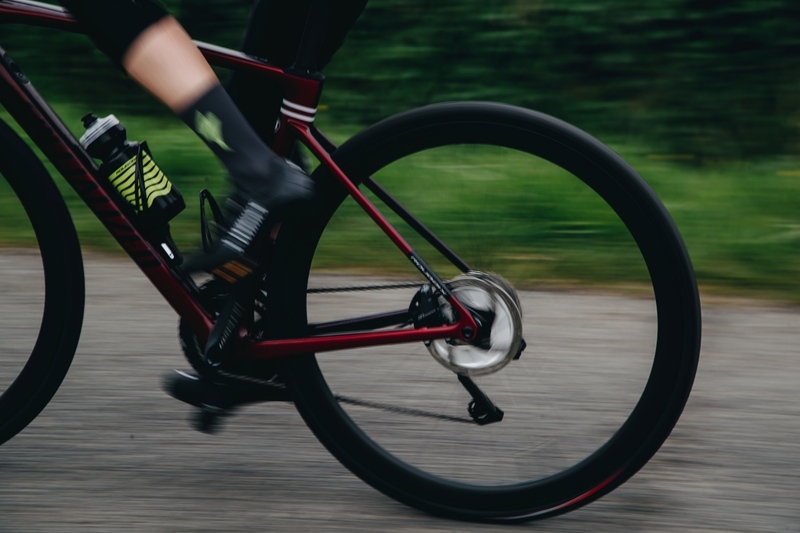 This movement ensures that you maintain the same pedaling angle to the knee no matter what the saddle is doing, and it also provides more control by soaking up bumps from the road. How many spacers can fit under the Future Shock 2.0 and 1.5? 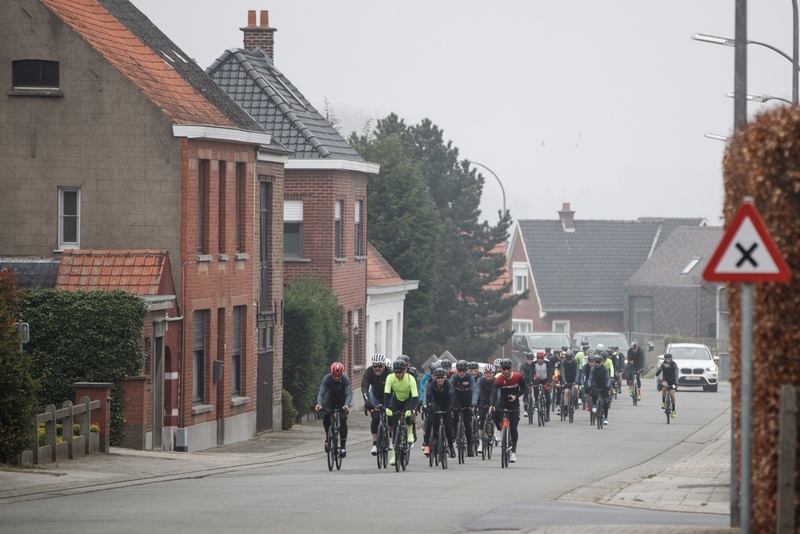 The maximum stack doesn’t change from the previous Roubaix. 30mm is the max amount of spacer that can be installed. And with this, the Hover bars can add up to 45mm of additional stack, allowing more riders to achieve their desired fit straight out of the box. 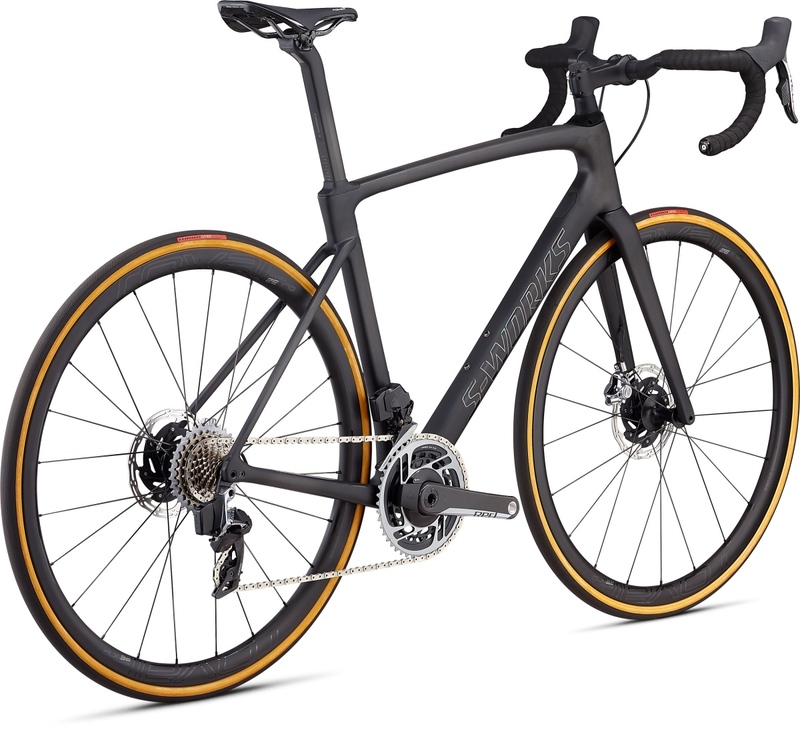 What’s the biggest tire size you can install on the Roubaix? 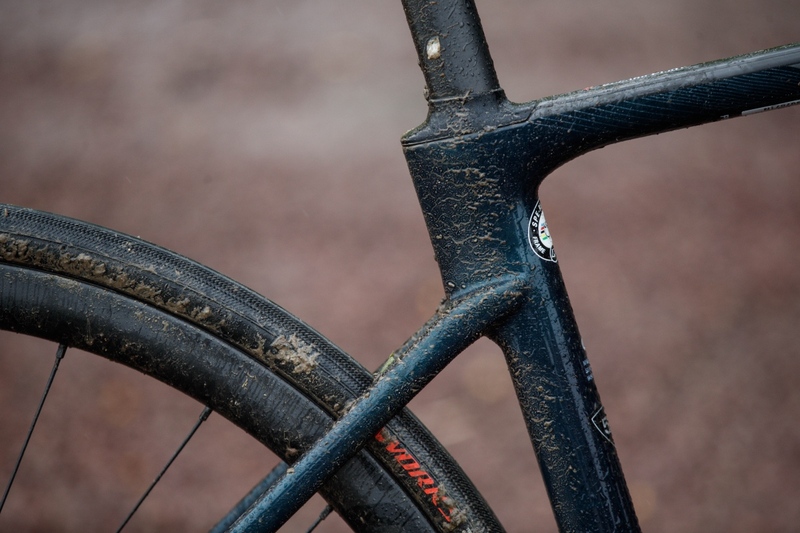 Every Roubaix comes spec’d with 700x28mm tires, but we know riders want to run as big of a tire as possible. So, we made sure everyone gets what they want. 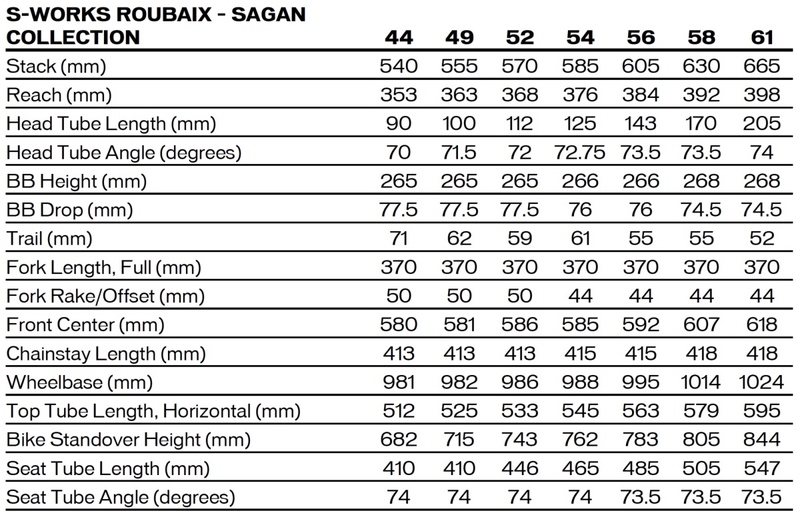 Now, every Roubaix is capable of running a 700x33mm tire with plenty of clearance. Of course, this is dependent on the rim that’s used. Rim shape and width dramatically affect tire shape, and we check the fitment with Roval wheels. We suggest that you check fitment of the tire before you take it out for a ride. 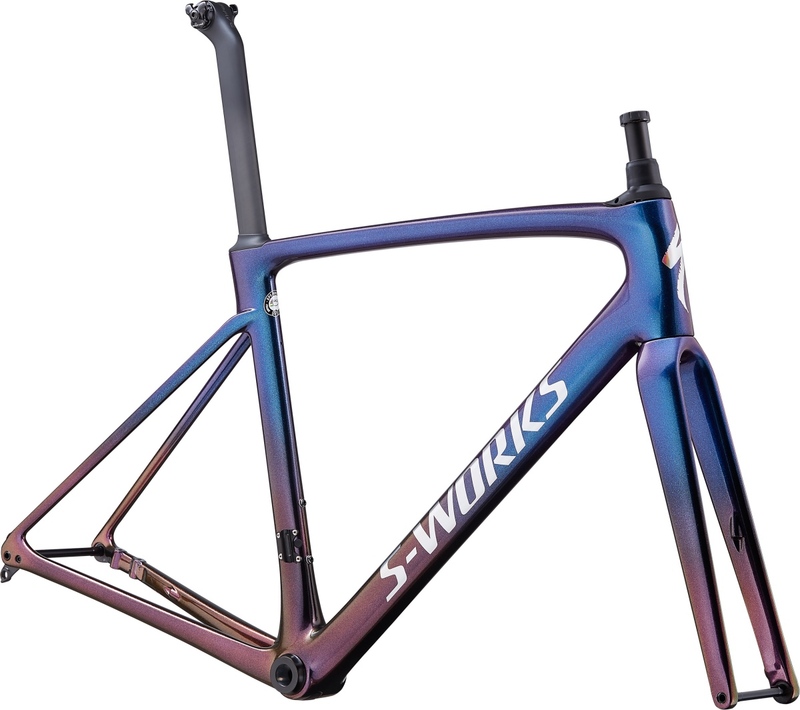 Keep scrolling to see the various frame colors and build specs. Then head over to www.specialized.com for more details. 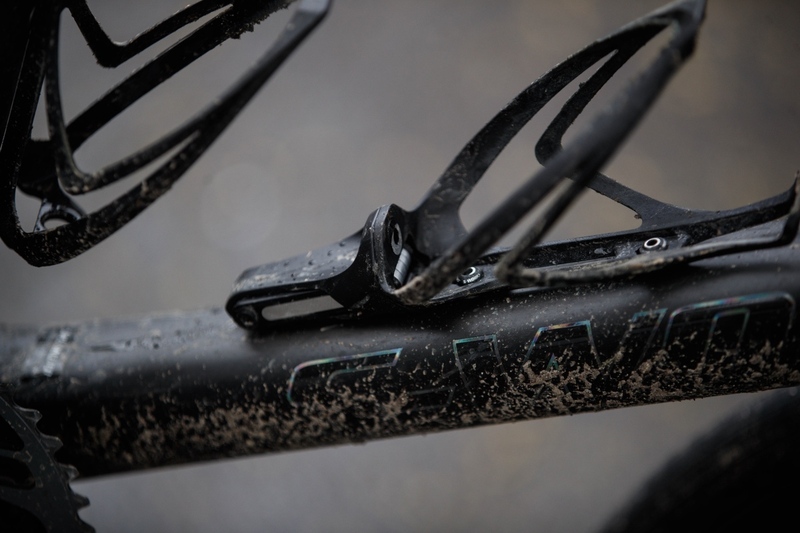 By dropping the seatpost clamp, Specialized made the seatpost longer to get more flex.